One of my favourite parts of shooting weddings is that, after spending some time getting to know a couple, I get to meet their families. It is obviously the couple’s day, but there is no doubt that for many parents it is also a time of big pride, and an overwhelming sense of happiness. Michelle & Pawel’s family were no exception. We arrived before the ladies had returned from the salon, so (after the go-ahead from the bride, of course) I decided to photograph the wedding dress. Before unwrapping it, Michelle’s dad Alejandro cried out, “Wait, wait! I don’t want to see the dress until she’s in it!” and promptly rushed downstairs so that he wouldn’t spoil his own surprise. This was one of the many little things, throughout the special day, that just made my heart float for Michelle and Pawel. 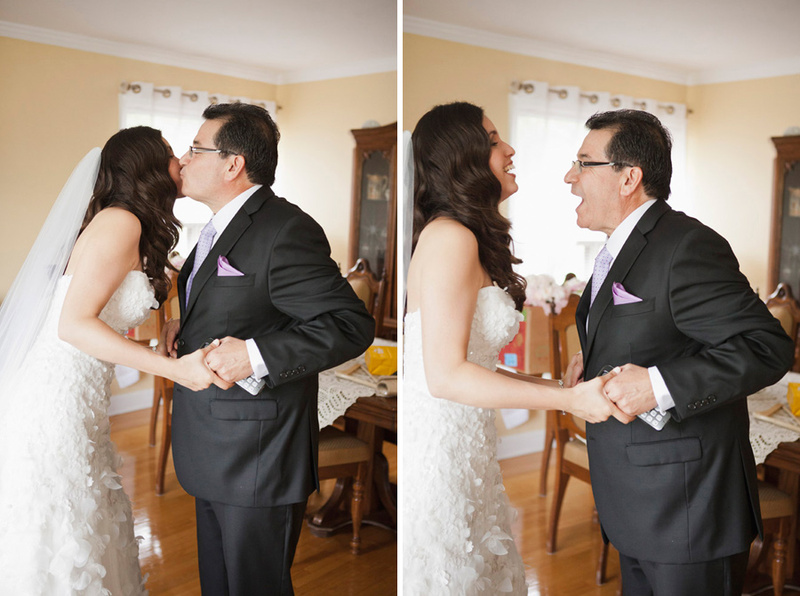 The emotion in Alejandro’s eyes when he saw his hija - his daughter - when he gave her away at the altar, and danced with her later that night; this represented his life’s work – a success. All was worth it for this moment, this day. And when you set eyes on this bright, twinkle-eyed bride... can you blame him? It was a day of natural beauty, fun, and celebration. Michelle and Pawel, thank you so much for sharing your wedding day with us! Michelle & Pawel's Wedding Photography Slideshow from Sweetheart Empire on Vimeo. Click here to check out Michelle & Pawel's engagement photos!